My Careers - Amagansett Radio WSL, ITT World Communications Inc. In 1969 I temporarily left the sea to try a shoreside position. I applied for and was accepted for a job at ITT World Communications Inc. as a coast station operator. The station was located near Southhampton, Long Is., NY. 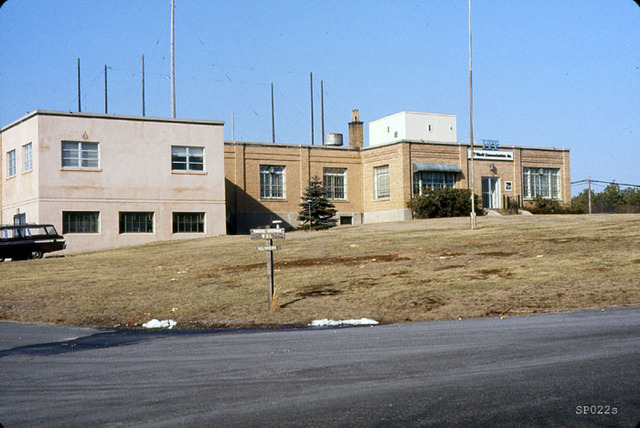 Transmitters were located at Brentwood (HF) and Amagansett (medium frequency). The receiver site was the Southampton site. The transmitters were keyed via phone lines. Brentwood was 85 miles and Amagansett 40 miles away respectively. When I first began this job, I lived in a rooming house. I believe it was run by Mrs. Marino of Southhampton, NY. Her son was a fellow employee by the name of Mike Marino. I remember at the time I was driving a 1969 green Pontiac GTO with 4 speed transmission. I eventually found an apartment in a private home. Mr and Mrs Ernest Marshall were my landlords. Very nice people. I lived on Long Spring Road almost across the road from the mecox bay duck farm....very pungent in the summer. I was close enough to walk to work which I did a few times. It was quite a thrill to sit at an operator position and be on the other end of the operations. We used mostly rhombic antennae connected to HRO500 receivers. The rhombic antennae could be selected with pushbutton switches. Ships in the Persian Gulf could be clearly copied when the correct antenna was pointed towards that area. My favorite band was 22Mhz in the daytime. That was the best DX and the ops on the other end seemed more appreciative since they were usually on the other side of the Atlantic or even in the Indian Ocean.